Bali Candi Kuning Market is the name of traditional fruit and vegetable market situated in the mountain area of Bedugul Bali. Why Candi Kuning Market is special ? The Candi Kuning Market, which locals refer to as Pasar Merta Sari Candi Kuning, or simply ‘Pasar Bedugul’, is one of two main markets in the Bedugul area. Candi Kuning is the biggest town in the mountainous Bedugul area and lies at 1200 meters right on the shores of the cool and often misty Danau Bratan Lake. On the main road just a bit south of the town, the Pasar Candi Kuning, the local vegetable and fruit market, is set up. Orchids and other jungle plants flourishing in this high altitude, as well as huge variety of artfully stacked fruit and vegetables draw buyers from all over Bali. Next to the exotic flowers and fruits, spices, such as nutmeg, pepper, paprika and turmeric add a wonderful array of colors. 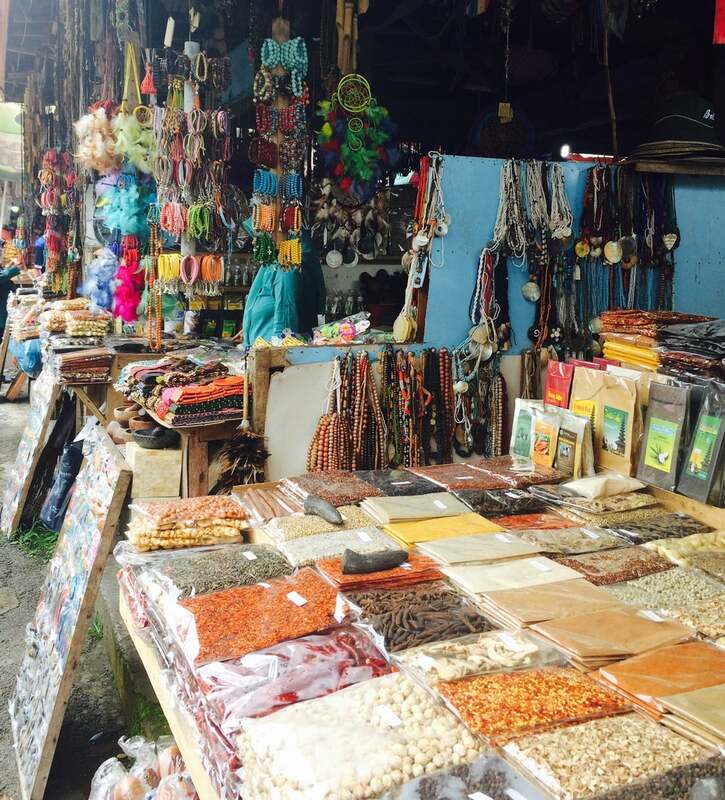 What to explore at Candi Kuning Market? Being a market targeted at travellers, you’ll find souvenirs in the form of generic and kitsch arts and crafts at stalls further inside. Candi Kuning Market provides fresh fruits, vegetables, spices, and such exotic flowers as delicate orchids and roses, creating an array of wonderful colors. Spices include nutmeg, pepper, paprika and turmeric. 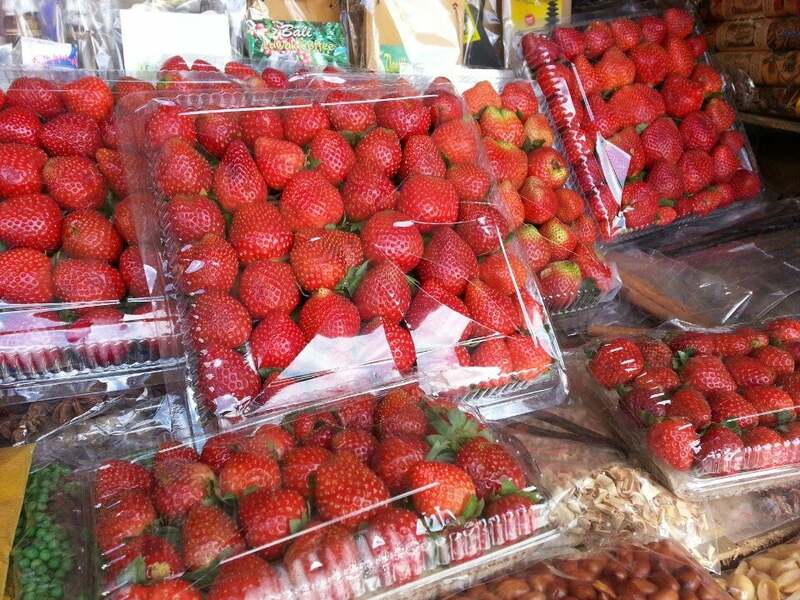 A wide variety of fresh fruit and vegetables can be found here, as well as jeruk bali (pomelo) and durian. Candi Kuning serves as a great stopover for refreshments in between your tours of Bali’s central region, or en route to the main destinations in North Bali, such as Lovina Beach, via the central highlands. How to get to Candi Kuning Market? This central farmer’s is conveniently located halfway along the western side of the Baturiti-Singaraja route, and between two of Bedugul’s landmark attractions, namely the Beratan Lake with its iconic Ulun Danu Beratan lakeside temple, and the Eka Karya Botanic Gardens. You can take the local bus, a taxi or join on with a tour from Singaraja or Denpasar. 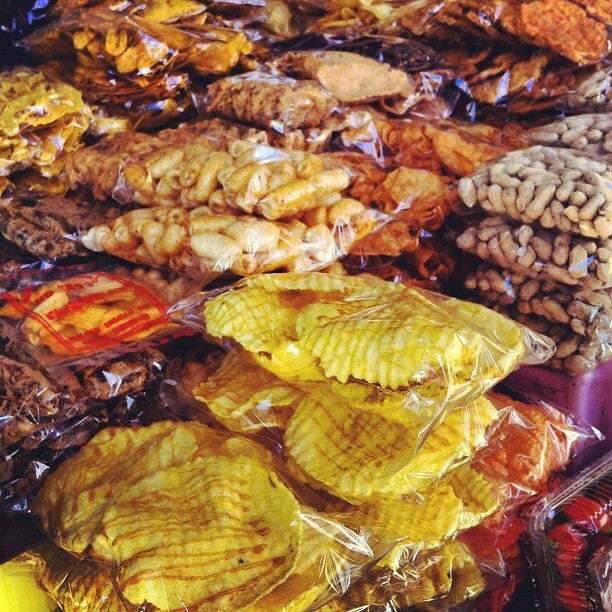 There are also many types of souvenirs and traditional snacks available to take home to family and friends. To the rear of the market are rows of plant and flower vendors, and surrounding the market are several restaurants where you can eat and rest. Some sellers who speak better than average English - avoid to buy from them as they mainly focus on tourists. If you need water, drink, etc, there are stores just besides the market and price is only half of it. It’s a great place to find a local market scene, with the rule of thumb being (as always): bargain hard! Even the locals do it. You should visit Hardy's, Carrefour or Bintang Supermarket for a idea of prices to pay for souvenir before coming here. My spouse and I love to visit local markets in the countries we visit. This local market located in the highlands of Bedugul was a pleasant stop while on the way to Tanah Lot. The colorful displays of fruits, vegetables, nuts, and flowers were well done. 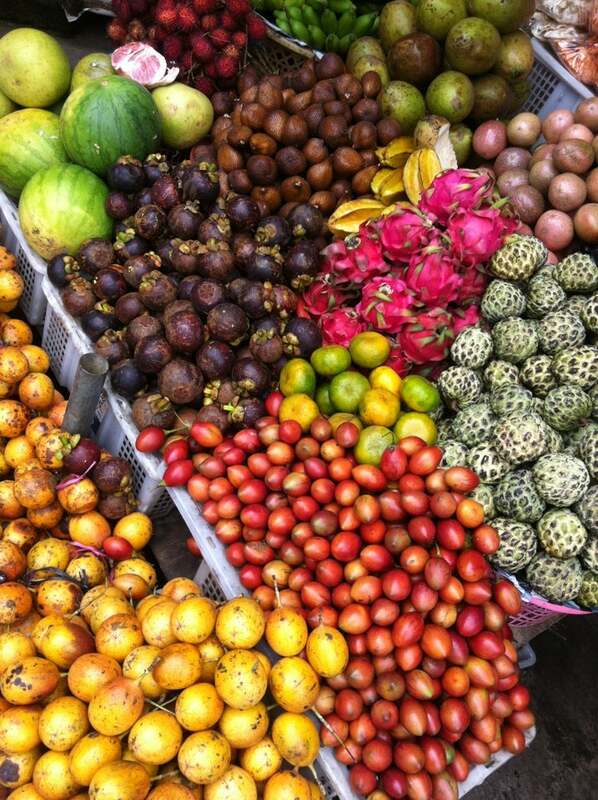 The variety of fruits was also fascinating. We did not purchase anything, but simply took photos of the people and their produce. While this market is on the tourist trail, it is worth a stop.